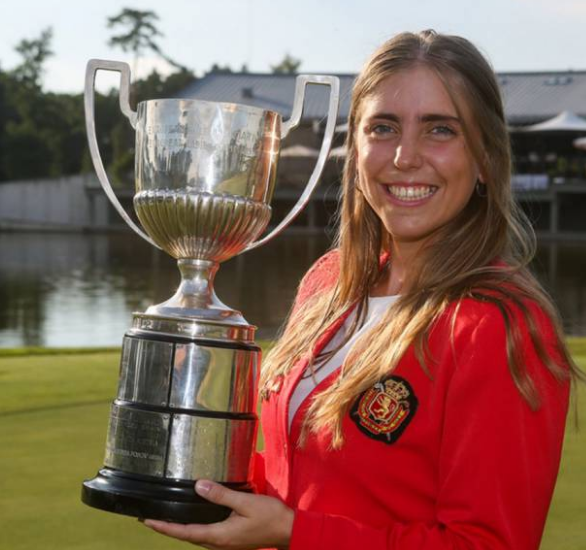 Celia Barquin Arozamena famous as Celina Barquin was a famous Spanish Amateur Golfer who has won the 2018 European Ladies Amateur Championship. She was also the Lowa State University Female Athlete of the Year for 2018. She was described as "one of the most accomplished players in Cyclone golf history," in reference to the name for the university's sports teams. Celia Barquin was in her final year of a degree in civil engineering after completing her eligibility for the university golf team with the 2017-2018 season before her death. Her dead body was found by the police at the Coldwater Golf Links in Ames, Lowa on 17th September 2018 where she apparently went golfing alone Monday morning. She was stabbed to death on a golf course. Collin Daniel Richards, 22, who police said has no known address and, according to court records, was kicked out of his grandparent's house a year ago, was charged with first-degree murder in Celia Barquin Arozamena's stabbing death Monday. As told by the Associated Press, police were called to Coldwater Golf Links in Ames around 10:20 a.m. local time Monday after other golfers discovered a golf bag with no one around it. Barquin Arozamena’s body was found a short distance away. The suspect in the murder of Iowa State golf star Celia Barquin Arozamena is jailed on a $5 million bond. He made his first court appearance Tuesday morning at the Story County Courthouse in Nevada, Iowa. Police said Richards had several fresh scratches on his face and he tried to cover a deep cut on his left hand, multiple media outlets reported. At the site, police said they found two pairs of shorts with what they believe are blood stains and a knife. Born on 6th July 1996 with a birth name of Celia Barquin Arozamena in Puente San Miguel, Reocin, Cantabria, Spain holding nationality in Spanish is Celina Barquin. She is the daughter to Marcos Barquin Gonzalez and MaA'ngeles Arozamena. She was educated in Torrelavega and then in Madrid. She completed her education from Lowa State University. She spent in a residential training programme run by the Spanish Sports Council for 2 years and then moved to the U.S. 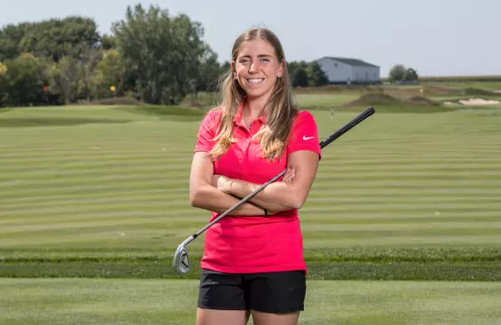 There, she became the member of the Iowa State Cyclones women's golf team from 2014 to 2018. Barquin was a very beautiful girl and is liked by all. She has got a lot of followers and got a charming face with a pretty smile. Her body build is slim. Her exact height, weight, and other details have not been revealed and will be updated soon. Barquin started her career by playing for Spain team at 2015 and 2016 European Ladies Team Championship. There, she along with her team took place in the third and second position. She also won the 2018 European Ladies Amateur Championship held at the Penati Golf Resort in Slovakia, finishing a stroke ahead of Esther Henseleit. In the third round of the game, she set a course record of 63 and later She was qualified for the 2018 U.S. Women's Open, where she missed the cut. In the year 2018, she reached Stage II of the LPGA Q-School, which is to be played in mid-October. She has won 2011 Grand Prix de Chiberta, 2012 Grand Prix de Chiberta, 2013 Grand Prix de Chiberta, Campeonato Excmo Ayto de Llanes, 2014 Campeonato del Principado de Asturias Absoloto, 2017 Copa Match Play Comunidad Valenciana, 2018 Big 12 Women's Championship, European Ladies Amateur Championship. A Famous Golf player, Barquin had a net worth in millions. Her exact net worth had not been revealed yet and will be updated soon. She was very successful in her personal life as well as professional life. She was earning a good amount of money by playing golf. 22 years, Barquin had not revealed anything about her love life and there are no any rumors about her with any other boys. Possibly, She might be single. Her favorite club is Callaway Apex, her favorite golfer is Sergio Garcia and Seve Ballesteros. Her favorite golf course is Chilberta located in France. Her favorite Golf Memory is Winning the U-14 Spanish Championship. Stay connected with us for more information of Celia Barquin. Her death body was found by the police at the Coldwater Golf Links in Ames, Lowa. Collin Daniel Richards is taken as suspect. She was in her final year of a degree in civil engineering after completing her eligibility for the university golf team with the 2017-2018 season before her death.